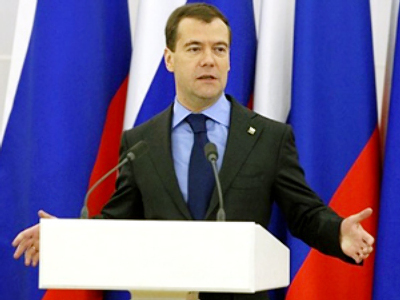 Dmitry Medvedev has said that democracy is a key condition for Russia’s development. 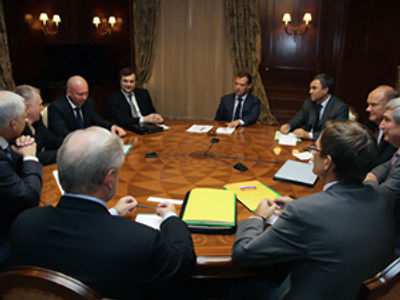 The president held a meeting with political scientists at the Yaroslavl global policy forum. “I truly believe that democracy is a condition for the development of Russia,” Medvedev said. The city, north-east of Moscow, is hosting a two-day Global Policy Forum at which politicians, diplomats and analysts from all around the globe exchange opinions on issues of global importance. This year the focus is on standards of democracy, modernization, security and new challenges and concept of the international law. 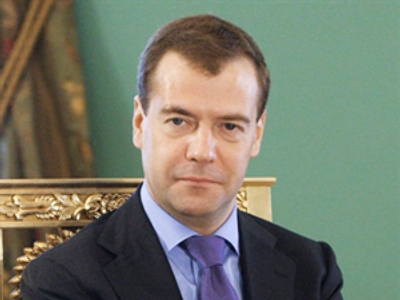 Following Thursday’s discussions in working groups, on Friday delegates met with Medvedev, under whose patronage the forum is actually being held. The experts were particularly interested to hear the president’s view on the future of democracy in Russia and ways to promote its development. 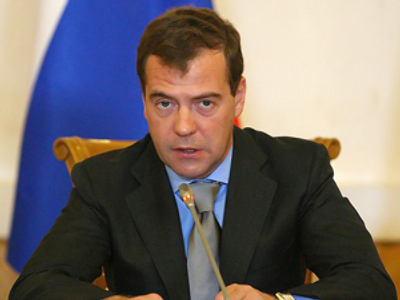 According to Medvedev, democracy cannot be “complete” as it is always a process that keeps developing. Looking back at history, the president said that in the ’80s and ’90s, when Russia faced drastic changes in its economy, the very term of “democracy” was not seen as something positive within the society. On the contrary, democracy was linked to poverty, and even became synonymous with it. “Following several years of economic growth and an increase of the quality of life, Russian democracy became profitable, proved to be well-grounded. 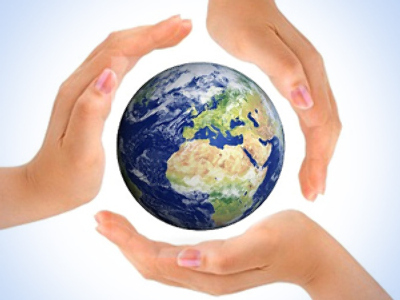 Now the majority of citizens do not neglect it," Medvedev said. The president sees the growth of Russians’ prosperity as a key element in strengthening people’s trust in democratic institutions. As for the forms of the institution and its development, the president stressed that radical changes should be ruled out. “Not because it cannot be done, but because it is not needed,” he said. “We are being told about parliamentary democracy. Our Kyrgyz partners have chosen that path. I am afraid that for Russia, as well as for Kyrgyzstan, parliamentary democracy would be a catastrophe,” Medvedev pointed. He also mentioned that some analysts try to draw a parallel between Russia and China, and criticize the Russian leadership for not having copied their neighbors at the end of the ’80s, when Russia was only choosing its way. That way, opponents believe, the country could have built a stable political system. “We have good relations with China – a strategic partnership, as it is often called. But they have their own path which does not suit Russia now and did not suit it 20 years ago,” Medvedev said. The president noted that the collapse of the Soviet Union was a big challenge for people. For some it even turned out to be a “tragedy”. However, the scenario could have been a lot worse and Russia avoided a civil war. Talking to political scientists, the president referred to history several times pointing that Russia’s democracy is still very young. Yet he believes that the country’s role in building democracy in the world is rather significant. Explaining his stance, he said that is because Russia had no democracy for about a thousand years, but was always an authoritarian state. Therefore, its experience in building a truly democratic state – and Medvedev is quite confident it cannot be otherwise – is something that other states can use as an example. “Today’s democracy [in Russia] is better than what it was like five years ago,” Medvedev stated. As for accusations that Russia is still an authoritarian state, the president said that he completely disagrees with that. “There is no doubt that Russia is a democracy. We are at the very beginning of the path; there are things to work on. However, we are free,” he concluded. The president was also asked to comment on the place of the Internet in the development of democracy, particularly – on the censorship in the Russian segment of the worldwide web. The Russian government, “unlike governments in some other states", does not deal with the Internet at all, Medvedev stressed.The web leads its own life under its own rules – “same as in other countries”, the president noted. “Public opinion on most crucial issues is being found out today via informal voting” and Internet discussions, he said. As proof of his claim, the head of state – known for his passion for modern electronic gadgets – read out comments that were sent by Internet surfers while the meeting was underway. In real time, bloggers were giving their opinions on the issues that the president was discussing with political scientists. “So far, this process has not been institutionalized, but it will be sooner or later… Ultimately, it will become direct democracy,” he said. The president is also confident that it is not politicians who should change the web, but the other way round – public servants must take this rapidly developing sphere into account. The strong link between democracy and modernization – earlier voiced by Russian politicians – was also confirmed by the president. According to Medvedev, only free people can give Russian modernization a push. Therefore modernization, which has become Russia’s motto, is impossible without the development of political institutions. “A person who is frightened…afraid of the state and the law enforcement agencies and competitors cannot take to modernization. 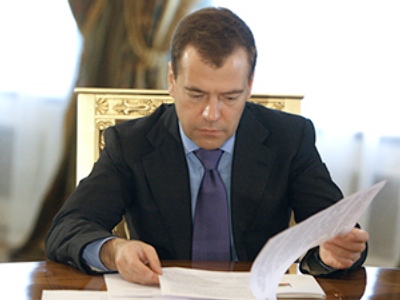 Only a free person can,” Medvedev said. And people should play the most active role in building new, innovative, economy in the country, the president is confident. He was answering a question on who exactly should be “modernizers” apart from the state. “I would like people to be modernizers, not just political parties, the elite or the president, who has an iPod,” he commented. Meanwhile, the entire idea of the necessity of building economy based on innovative technology rather than on exporting energy and resources is now being accepted by society, Medvedev said. Since political parties are also part of society, the president mentioned that the ruling United Russia party has never said “to my face” that they are against the idea of modernization. He noted that he has not heard it from Vladimir Putin – who leads the party – nor from its senior member Boris Gryzlov, who is also the State Duma speaker.